Power on site, 20 acres with trees and views! This 20 acres would make a great site to build a home and retire, or just relocate and enjoy a slower paced life. Great area for recreation, horse back riding, hunting and just living a western life style. Power and phone are to the lot line. This property is over 50% tree covered-- pines and junipers, with some great elevated building sites and southern exposure. Call if you would like more details-- 406-580-3372! Trees, rimrocks, pasture and less than a mile off the pavement and only 2 miles from the town of Roundup. Power and phone to the lot, preapproved for a septic! Lots of wildlife here including antelope, mule deer, turkeys, some whitetails and even some elk to the south of the town in the Bull Mountains. Only 25 miles south of the Little Snowy Mountains where there are also elk and lots of National Forest. Located about 2 miles outside of Roundup (pop 2000) which is a small ranching community town that was also a historic coal mining community, but now there is only one active coal mine in the region. 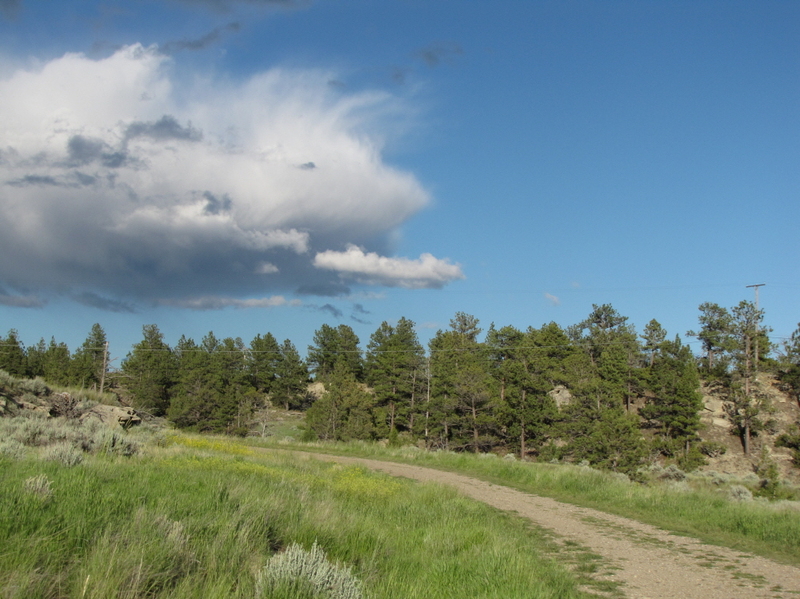 This property is about 50 miles north of Billings (pop 100,000) the largest city in the state of Montana.